All Leather is the Same…. Isn’t It? NO!! I am constantly astonished and bemused by what people want to pass off as Real Leather. Real Leather is from a hide taken from an animal. 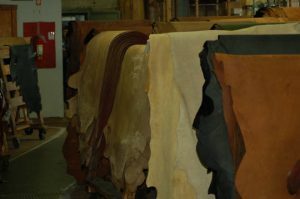 Most leather used in lounge and sofa manufacture is from either a cow or buffalo.There have been instances of Pig hide being used as well. Historically Buffalo hide was known to be stiffer than Cow hide, but recently there is minimal difference between the two. Commonly the easiest way to tell the difference is that the grain is thicker on buffalo hide. We sell both and never really have problems that are caused from the manufacture and processing of the hide. These days, Buffalo hide can be every bit as soft as a Cow Hide, but generally is a bit cheaper. What are All These Different Types of Leather? Many retailers have different names for their leather. They may call it ‘Premium” leather, or aniline leather, Corrected Grain, Bi-Cast leather and the infamous `Bonded Leather`. 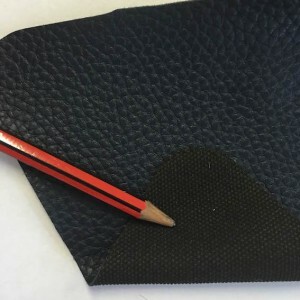 ‘Faux’ Leather – this is vinyl, not leather at all. It is a man made fabric. amount of people that are duped into believing these products are real leather is frightening. Every week we will have people come into the showroom who have paid big money for a product that has been passed off as ‘Leather’, but is only a poor imitation. Then they ask us to recover the item for them in real leather. Most often their complaint is that the “leather” is peeling. In our experience, ask the question of the retailer as to if the leather they use is ‘Top hide’. This means the leather is split from the hide and is the top portion of the hide. The ‘Split’ is the next piece of leather processed and is essentially the second layer of leather. Bi-Cast leather is made from the split with a thick PU coating on top. The top hide is softer and stronger than the split, and is significantly better than any man made product. Corrected Grain and aniline or semi aniline leather should be top hide. This is the best type of leather to buy for strength and suppleness. Corrected grain is exactly what it says – it has been corrected. The hide has been died and had a thin poly urethane colour put on top. It has then been pressed with a template which gives it the ‘grain’ look. 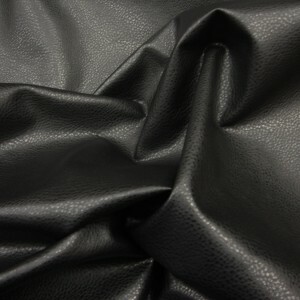 Semi aniline leather is similar but the PU or protection is a little thinner. Aniline leather is essentially just the hide that has been dyed with no protection. This is popular in Europe because it doesn’t get too hot, but in Australia the problem is that people perspire and will leave marks in the hide. Therefore the corrected grain or semi aniline leather is better. Bonded leather has not got a great reputation in Australia. It is essentially leather ‘particleboard’. It is the wastage left over after the top hide and split have been processed. It is bonded together using a bonding agent, then has a nylon scree layered on top and then the PU colour on top of that. Bonded leather is generally quite stiff to the touch and has been known to peel over time. Probably best to avoid this if possible. – Top Hide leather for all areas you come into contact such as the arm rests, head rests and behind the legs. These are the main areas of wear. – Split is OK around the back and sides – it makes the lounge less expensive and has never had any impact re longevity as far as I am aware. – Avoid anything call ‘PU’ Leather or ‘Bonded’ Leather – it is NOT REAL LEATHER, and over time you could get disappointed. Hope this all helps, and as always, if you have any questions please feel free to call and ask.